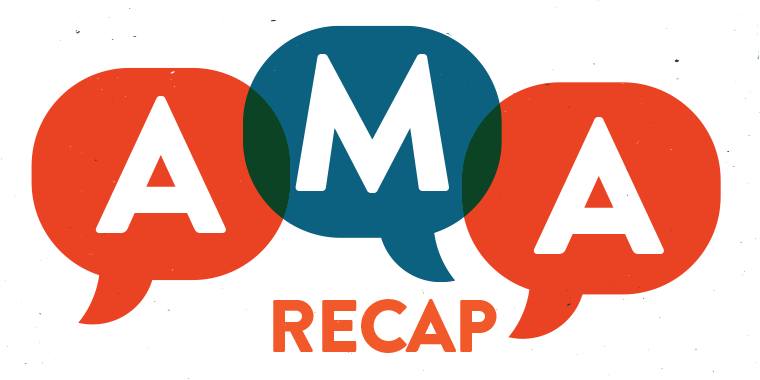 Last week we were excited to host our first live AMA (Ask Me Anything) event with Tom Kuhlmann, author of the Rapid E-Learning Blog. We’re pleased to report that the event was a huge success, and Tom got to answer many awesome questions. We’re going to curate his best advice in a three-part AMA recap. Here’s Part One … did your question make the list? Danika Clark: What are your top tips for taking my courses to the next level “visually”? I don’t have much (read: zero) graphic design experience and I always struggle to get the right look. Tom Kuhlmann: That’s a question we get asked all the time at workshops, and it’s probably one of the biggest challenges for those who come from a training background and not graphic design. A couple of quick tips: Focus on clean design. Get rid of clutter. And use consistent visuals. David Anderson has a great design map activity that helps you think through your design needs. This helps you be more intentional about what you have on the screen. I recommend Robin Williams’s Non-Designer’s Design Book. I also think making a habit of collecting things you like the look of and trying to replicate them helps build awareness and skills. That’s one of the reasons I like the weekly challenges we do in the community. You see different ideas and approaches. Jeff Kortenbosch: How do you deal with the 200-slide PowerPoint and the SME who thinks it’s all relevant? Tom Kuhlmann: I used to train the SMEs to think more like instructional designers. We taught them a backwards design approach. I called it Bull’s-Eye Training. The book Understanding by Design does a great job, and so does Cathy Moore’s Action Mapping presentation. Put together a simple presentation like Cathy did — they’d get it — and then teach them to see the content in a different way. And then tell them that’s how it needs to be structured for a course. Let them own looking at the content and determining what’s most valuable. Scott Conrad: What recommendations do you have for designing e-learning materials while trying to keep accessibility in mind? Tom Kuhlmann: Accessibility is kind of a challenge for many organizations and how they approach the requirements. I prefer a multimodal approach, where a training program is designed to best meet the various needs. I design different versions and let the end user choose which works best for them. Some organizations won’t allow that, so you get stuck building to the lowest common denominator and usually end up with a course that doesn’t satisfy anyone’s needs. Of course, if that’s what you need to do then you start with linear content that is limited in interactions and media that require modifications. Mitchell Palsson: I’m close to graduating and I’m getting familiar with the different positions that companies have to offer. Knowing what you know now, what types of jobs, industries, and opportunities would you look at to set yourself up for a long-lasting and rewarding career? Tom Kuhlmann: If I were to start over, I’d focus on more of a freelancing gig. If you have skills there’s a lot of demand and opportunity. I like the way some of the community members have done it via the challenges. They write posts, share demo files, and help others. It builds their brand and they seem to be working. They can chime in. Look at Jeff Korthenbosch, Jackie Van Nice, and Tim Slade as examples. I apologize to the others I didn’t mention. When you build your brand you’ll get opportunities and then can find the organization that gives you the most rewarding career. Linda Sampson: My courses are more “informational.” What’s the best way to enhance these types of courses since learners can’t explore the information in a truly interactive fashion? Tom Kuhlmann: Why can’t they explore the information in an interactive fashion? We go online and digest all sorts of informational content. Perhaps it’s more about how the content is framed. Ask questions and give them reasons to explore to discover. Analyze how and why you interact with the content you do each day. See if there’s a way to glean a technique from that. I used to record TV commercials and then storyboard them to figure out how they jumped from shot to shot and what may have motivated that decision. I may not have gotten it right, but doing the deeper dive helped me think through how I’d present content. Alison Stella: How much interaction, whether through gaming or quizzes, etc., do you recommend in a course that typically runs about 30 minutes? Tom Kuhlmann: As much interaction as makes it interesting, effective, and engaging. People like to touch the screen. Instead of Next buttons, use a question. Instead of animations, make an object draggable. We hope you enjoyed this first recap. Stay tuned for the next two parts in this series. You can always head on over to the discussion to have a closer look at all of the questions and answers. And if you have feedback or questions, we’d love to hear them in the comments below. Don’t forget to follow us on Twitter for the latest e-learning advice, tips, and tricks! Tom, Nice recap of this event. Thanks for sharing it. Very informative. Thanks, Usha! Stay tuned for our next Articulate AMA Event happening next month on Feb 18th with an Articulate Visual Designer. More details coming soon!